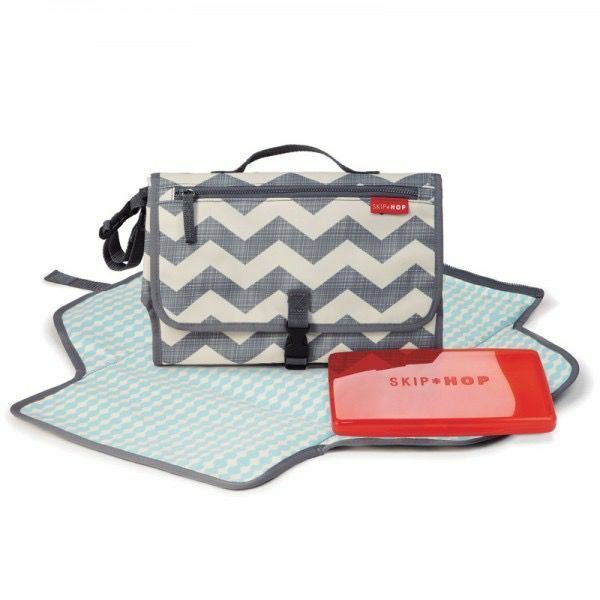 The Pronto is a portable diapering essentials kit that ensures that baby is always clean, dry and happy, and that mom and dad are always prepared. Drop it in any bag; strap it to your wrist or clip it to your stroller and you're good to go! 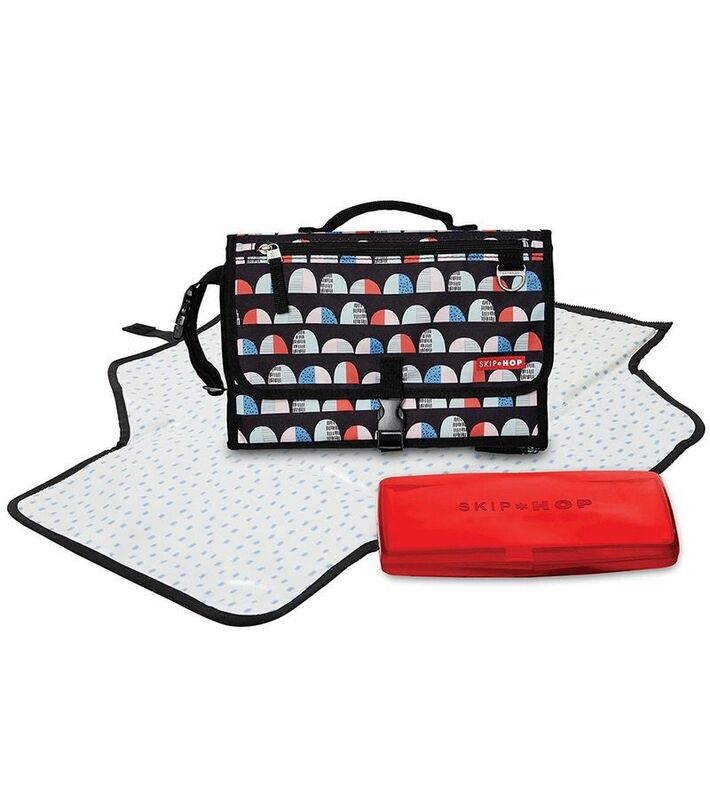 Its extra-wide changing pad wipes clean, and the head area is cushioned with an innovative "pronto pillow." The pad is also removable, allowing the body to become an independent diaper carry-all. 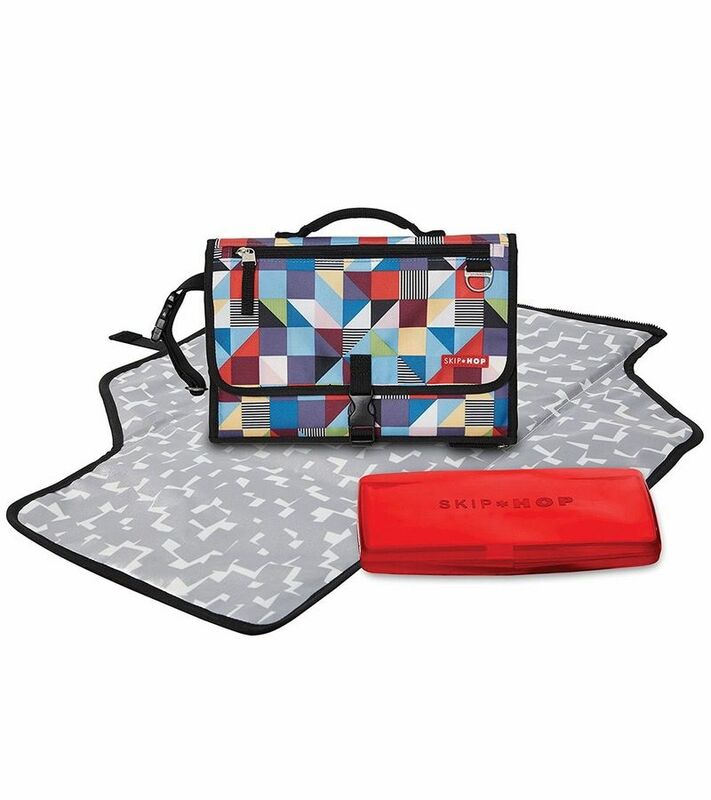 The Pronto also includes a translucent wipes case, a mesh pocket that fits up to four large diapers and ointments, and a front zipper pocket for personal items. 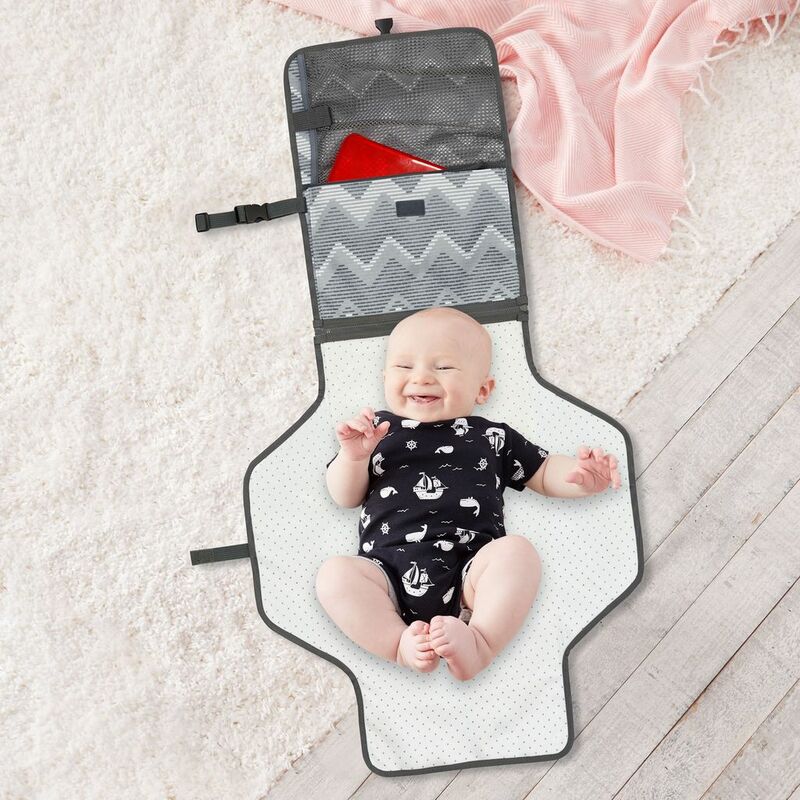 • Great for anti-diaper bag dads (and moms!). 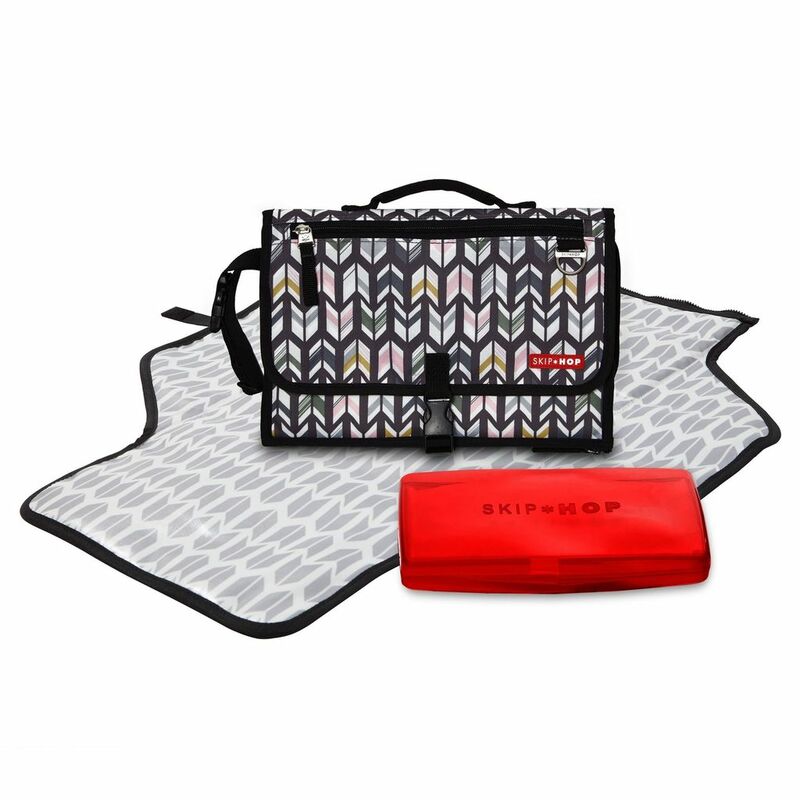 Features: Front zipper pocket for keys, wallet, phone, and personal items; Drop it in any bag, strap it to your wrist or clip it to your stroller; Pronto pillow keeps baby's head comfy; Mesh pocket holds up to four large diapers, creams and other essentials; Translucent wipes case is see-through for timely reloads; Two products in one—changing pad zips off of clutch for independent use; Extra-wide wipe-clean changing pad.